I’m not sure what it is about our garden, but it consistently rocks the winter squash game. We don’t even have to plant seeds! Volunteer squash plants pop up each year all around our compost pile and give us some of the most beautiful (and tasty) squash—without a drop of effort on our part. And the squash plants that we do actually go out of our way to plant and tend to? They produce a ton. It’s so nice to be able to count on a good squash crop each growing season. There are so many things to love about winter squash. They are tasty. 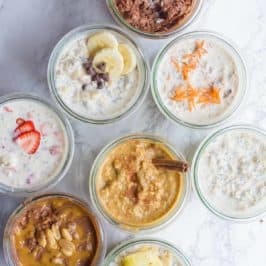 They are mega healthy. They look beautiful on the mantel as fall decor. And, my personal favorite, they are storage rockstars. 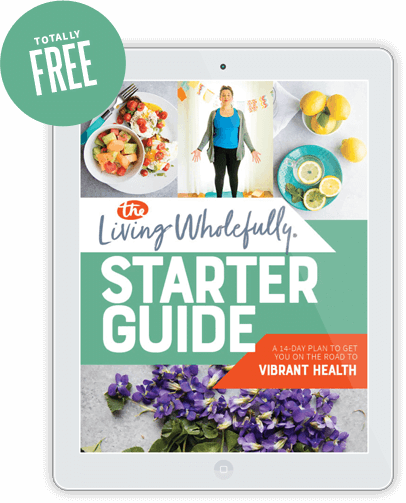 You don’t need a root cellar. You don’t need a basement. You don’t need a cold frame. I promise, even you, Ms. But-I-Live-In-A-High-Rise-In-The-City, can store winter squash in your itty bitty apartment. 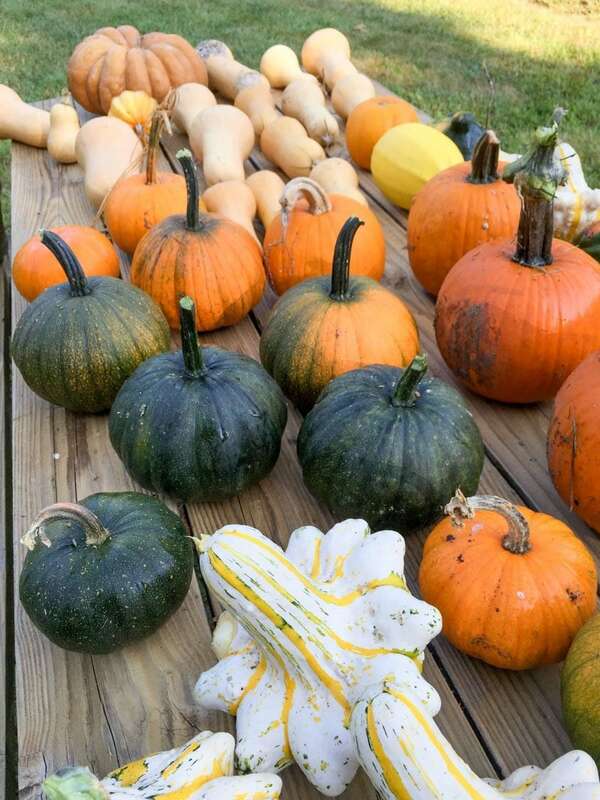 I think winter squash are the perfect crop to get anyone started on food storage. 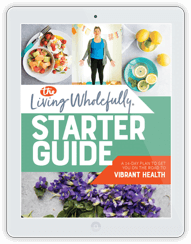 With just a few prep steps and the right nook in your home, you can be eating on winter squash well into next year. 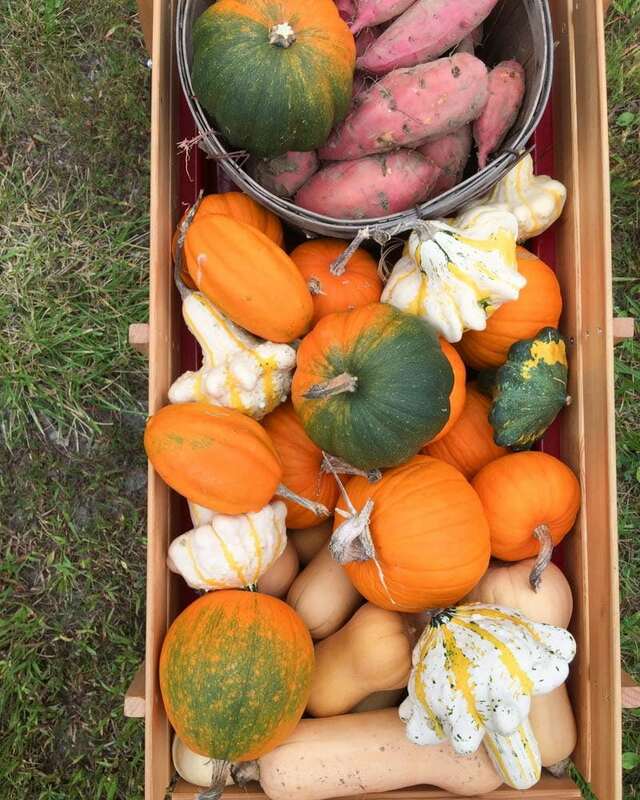 Snag a few extra butternuts or acorn squash at your local farmer’s market this weekend and try it yourself. Not all squash are perfect for storage. 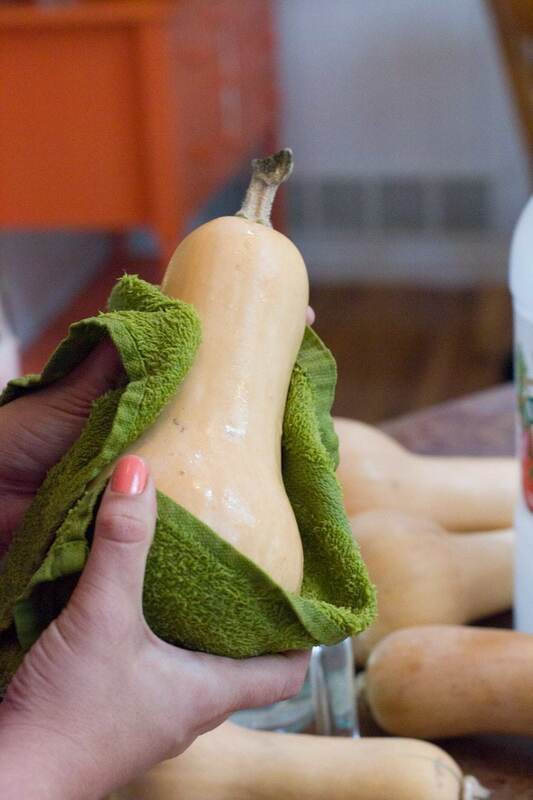 Pick squash that have clean, unblemished skins. Squash that have intact stems tend to store better than one that have the stem broken off. You’ll want fully-mature squash. Save your storage space for the fully-grown, beautifully-tan butternut squash, not the tiny pie pumpkin that is still a little green. 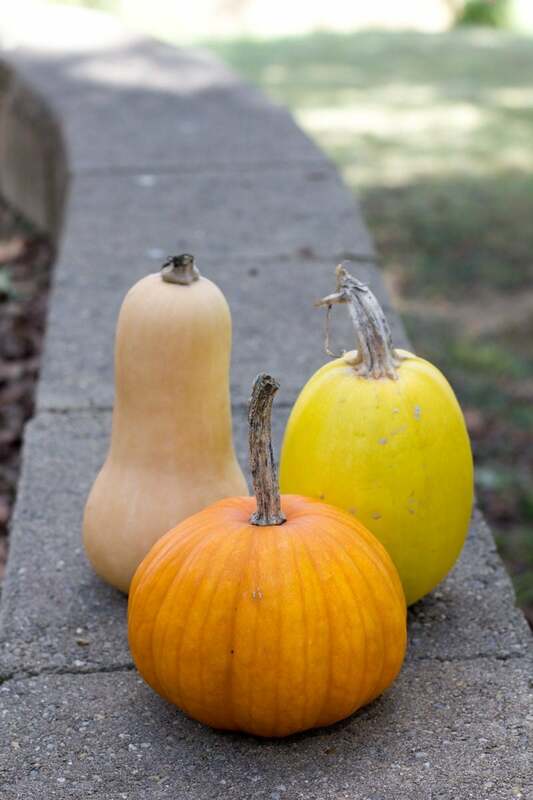 Any squash that have been through a frost or a freeze should be used relatively quickly—they wont store a long time. When winter squash come off the vine in late summer, they are perfectly edible and delicious, but the skin is a little too soft and vulnerable to last through long storage. Enter curing. Curing is easy peasy – all you need is a sunny spot that is preferably dry (but a little bit of dampness won’t hurt anything). Place the squash out in the sun in one layer on a flat surface for 7-10 days, rotating a few times so all sides get to sunbathe. Ours cure out on a wooden picnic table out in the middle of our backyard. We lost a few squash to curious chickens, but over all, it was a perfect spot for curing. 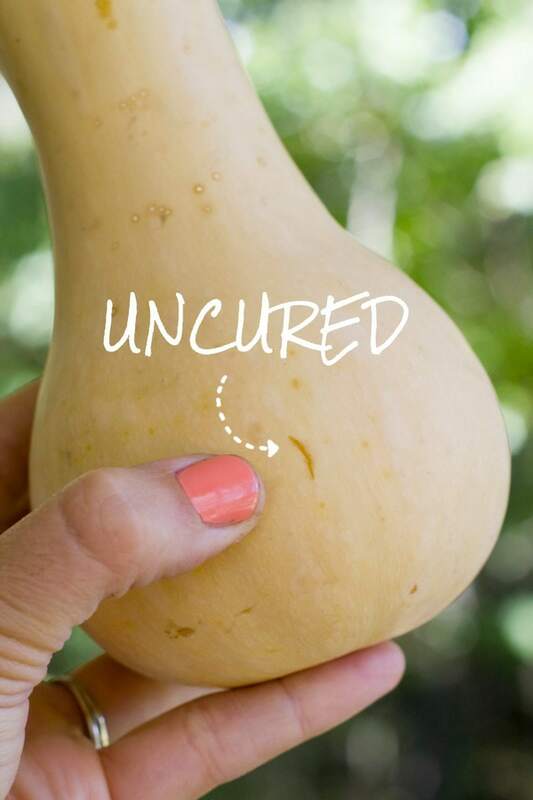 How will you know when your squash is properly cured? 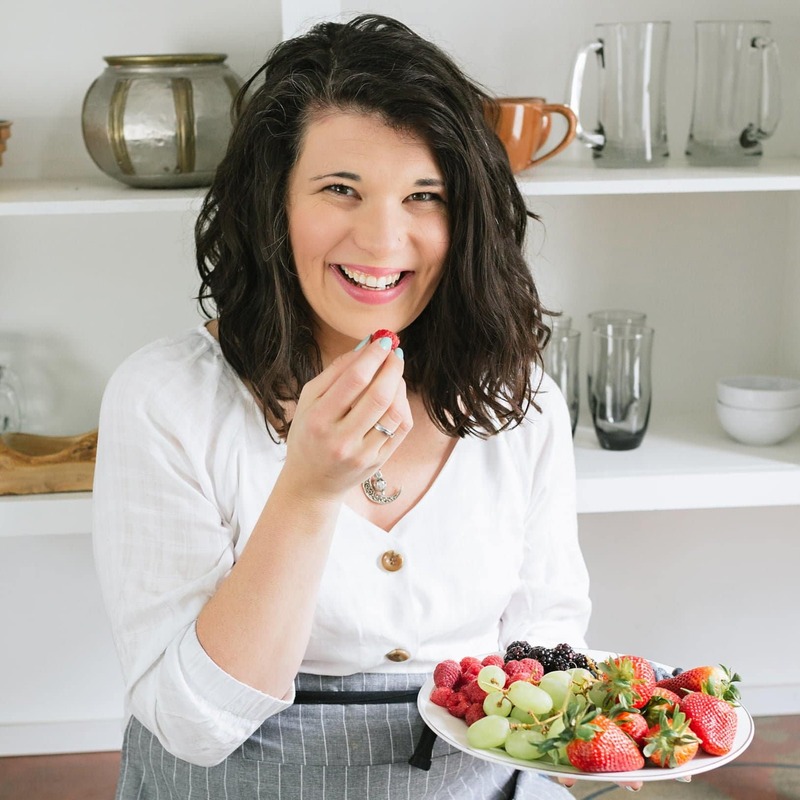 Well, when you press a thumbnail lightly into the skin of uncured squash, you’ll see a fingernail-shaped bruise—sometimes even a full-on cut. 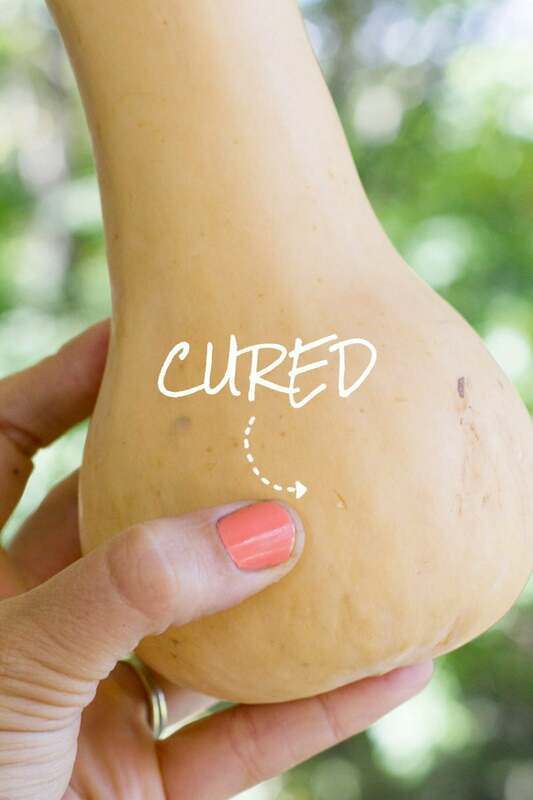 Do the same test with a properly cured squash, and you’ll barely even see a dent where your thumbnail was—the skin is thick, tough, and ready to last the winter! 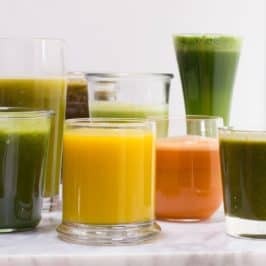 The squash you pick up from the market or store might already be cured, so do the thumbnail test to check. If you don’t make a bruise, you can proceed to the next step without curing. This is an optional step, but I’ve found I’ve had a lot more storage success if I don’t skip it. 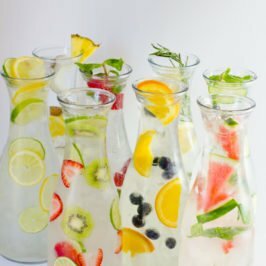 I use a light vinegar solution (probably close to one part vinegar to four parts water), and wipe the outside of all the cured squash. Why? Well, there are mold spores, bacteria, and other all-natural, but storage-killing critters on the rind. 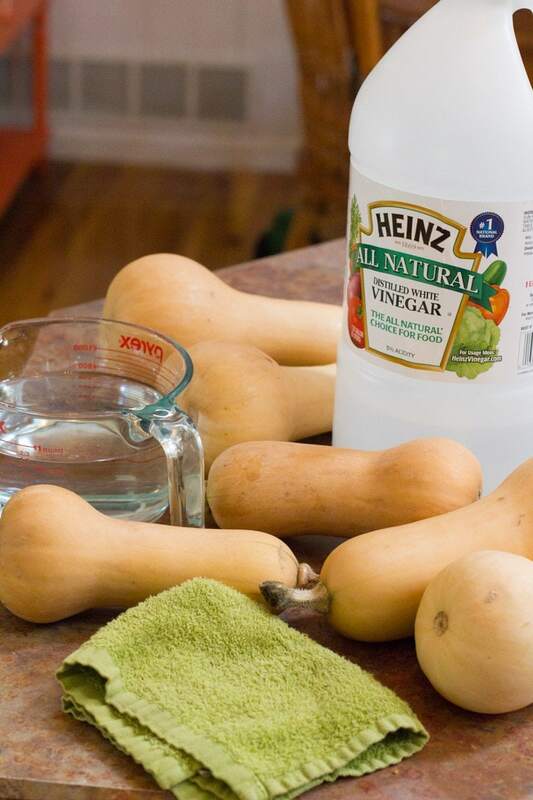 The quick wipe down kills a large chunk of them and really helps the squash keep longer. The traditional way to do this is to do the wipe down using a bleach solution (much more diluted, think closer to 10-15 to one), but I like the more natural option of using vinegar, and it seems to work just find and dandy. 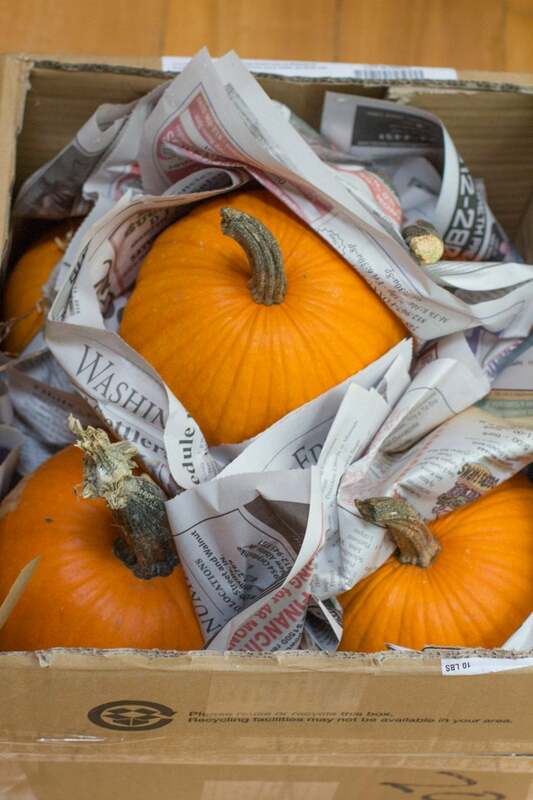 Each of our beautiful cured squash then gets wrapped very loosely in newspaper. 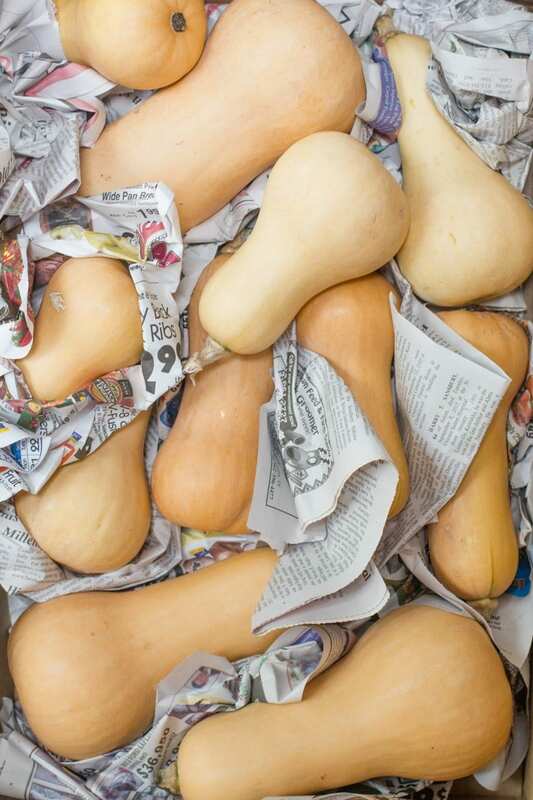 For some storage veggies, you want a humid environment, but for squash, humidity is bad news. The newspaper helps keep air circulating around the squash and absorbs some of the humidity in the air. Then the squash get packed into large, open boxes. Don’t shove them in too tight. You want the squash not to touch, and you want air to be able to move around. You can also use open air crates (think: milk crates), too, if that’s what you have kicking around. If you have particularly large squash you’re looking to store, you can also just place the squash on some flat cardboard on a shelf. Just make sure you don’t pack the squash too tightly on the shelf—air circulation is your friend! The absolute ideal environment to store winter squash is 55°F and 60% humidity, which sounds really specific, but most homes have a spot like that somewhere. Maybe it’s a closet on an outside wall? Maybe it’s under the bed in the basement guest room? Maybe it’s in an unheated enclosed porch? While 55°F and 60% humidity is perfect—that’s what’ll get you the longest storage—you don’t have to be perfect. You’ll still get numerous months out of a spot that is warm and more or less humid. 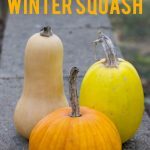 The one big rule with squash is to not go below 50°F—and certainly don’t let them freeze—warmer is better! With each few degrees warmer you go, you’ll lose some storage time, but you wont lose much quality like you would with the temps going lower. 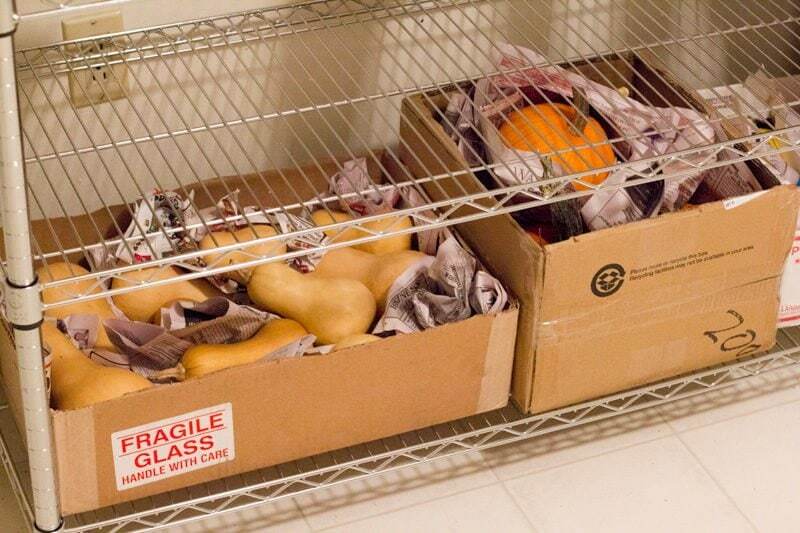 Even if you keep them at normal room temperature of 72°F, you’ll still get a few months of prime squash time! We have a heated and insulated basement, but it still stays cool—right around 60°F in the winter. We store our squash on the bottom shelf of a metal shelving unit (where it is even cooler) in our basement pantry. And it’ll last all the way to early spring, and sometimes even longer! Inspect your squash every week or so. 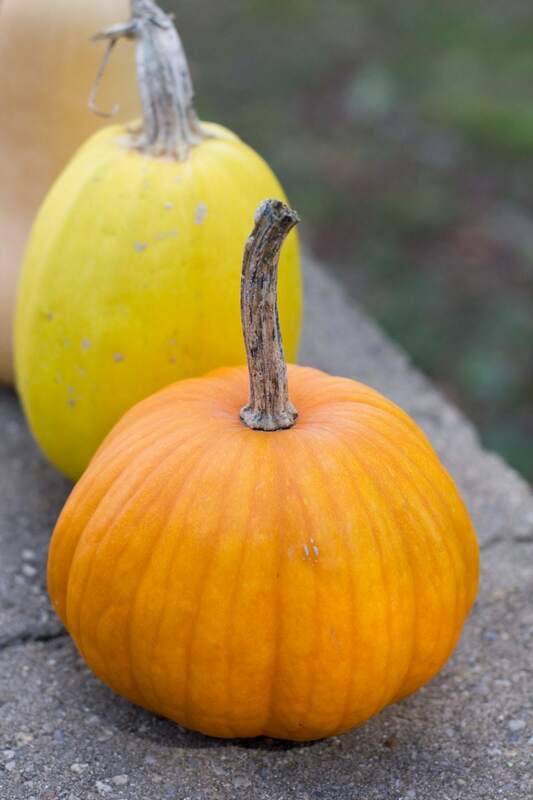 Any squash that are showing dark spots or starting to shrivel, move them up to “use now!” status—they’ll still be good to eat, but won’t last much longer in storage. Compost any squash that are rotting or collapsing. And then make sure to actually use your stored squash! I have a bad habit of working so hard to store my food, and then totally forgetting about it. 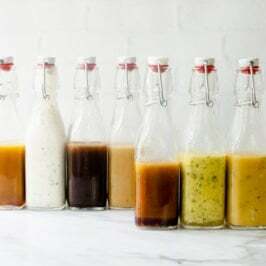 Don’t let the fact that your squash are stored in a rarely-used room keep you from putting your favorite butternut recipes on the menu. Enjoy your harvest all winter long! I love picking up a few extra butternut squash each week at the farm stand to store through the winter. My boyfriend loves butternut squash soup for his birthday in January and it’s great having some stored away for the occasion! I am going to try out the vinegar solution. In the past, I’ve simply just let them sit in a cooler, darker spot and they’ve lasted until we have used them. Thank you so much! I planted LOTS of squash this year and didn’t know how to properly store it. I feel confident now! Thank you for the information. I have a food pantry on the outside wall of the house. I will try this technique. Yeah ! I use to store acorn squash in a basket for winter in the basement … no curing, or preping. Sort of worked.. Then I got married, and he plunked them all in the frig …. mold and rot ! Now i’m Back to the basement with curing, vinegar, and newspaper ! Thank you ! i GREW WINTER SQUASH FOR THE FIRST TIME THIS YEAR, AND HAD NO IDEA HOW TO TELL THEY WERE RIPE. 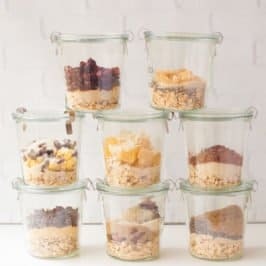 tHE STORAGE TIPS FOR WIPING WITH VINEGAR AND KEEPING IN NEWSPAPER ARE AWESOME!